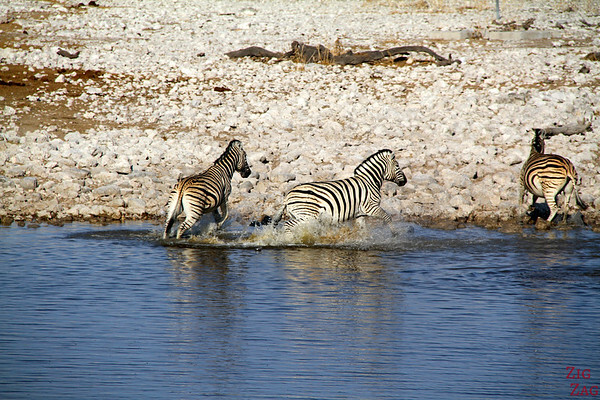 Etosha National park is the home of 2 types of zebras. 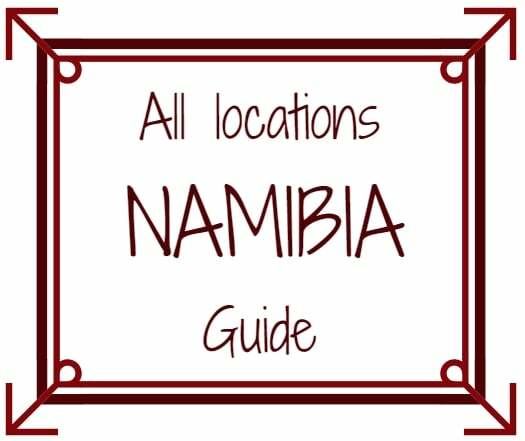 They can be seen in large herds, espcially near waterholes. 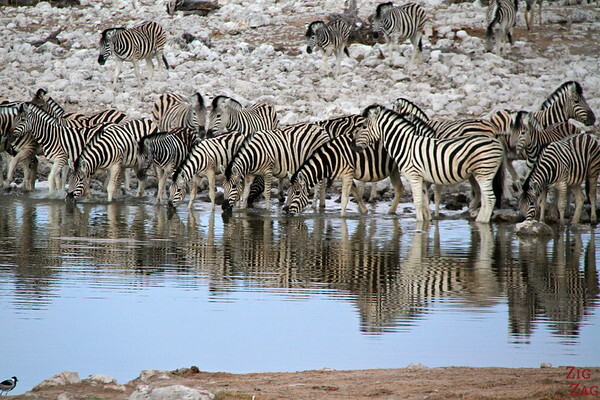 Here are videos and photos of the mesmerizing stripes of those mammals. 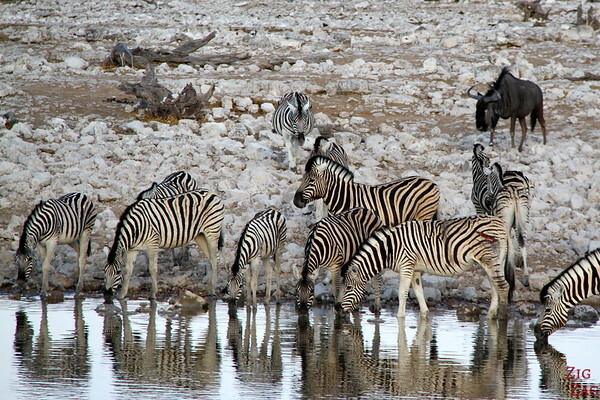 Zebras move around in big herds often mix with some kudus, Oryx and other mamals. 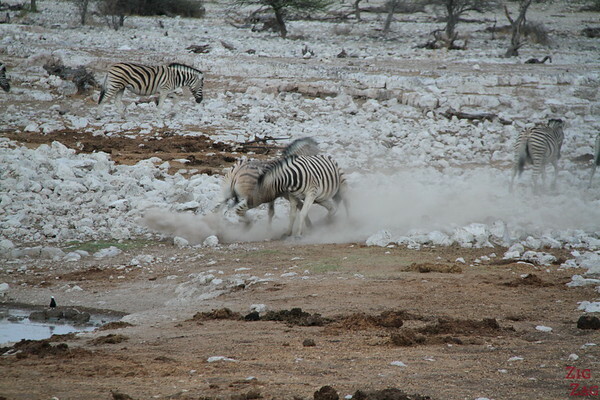 The Mountain Zebra moves around in smaller herds. 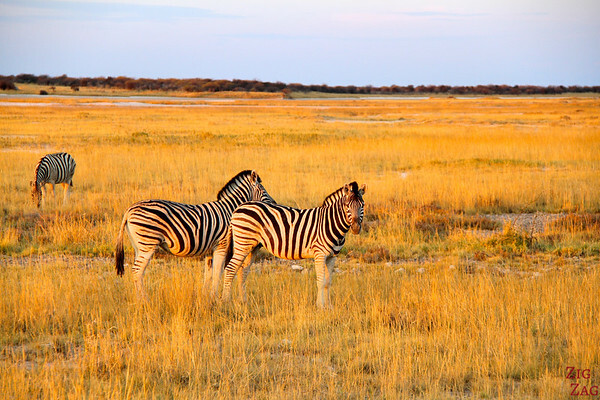 We first spotted zebras in Etosha at sunset as we were driving to our camp at Okaukuejo. I find them particularly beautiful when the sun hits their coat. 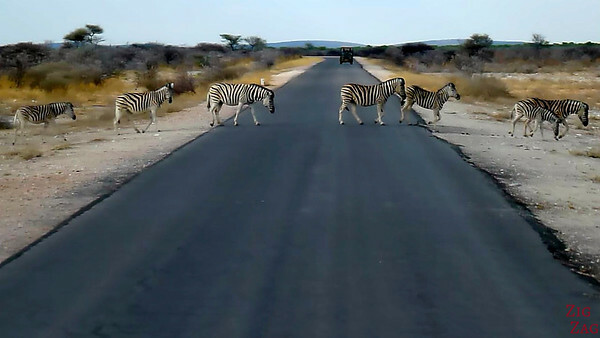 We mostly saw zebras at waterholes in Etosha National Park but it was funny to see them crossing the road one behind the other. You must not be in a hurry! 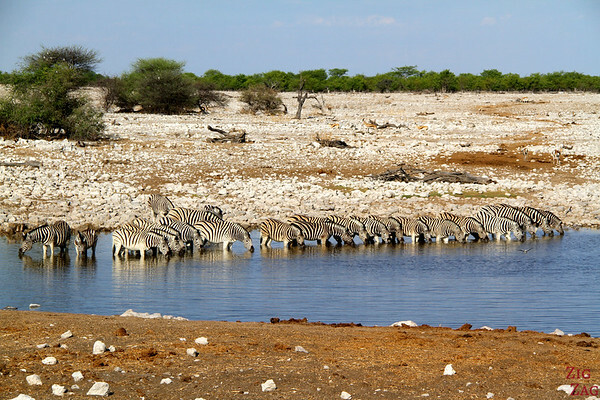 We mostly spotted huge herds aligning at waterholes to drink. You could really feel the tactics that they are protected by numbers. Sometimes they really align perfectly. 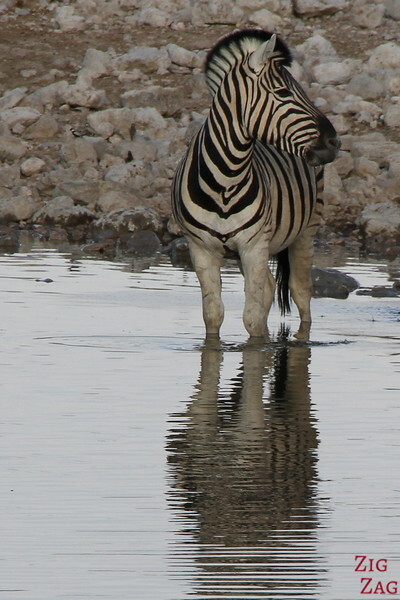 I was feeling quite dizzy with all those stripes. 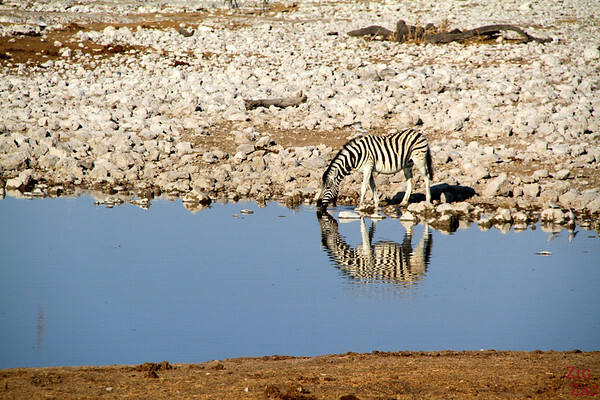 Do you get dizzy looking at Zebras?